The core mission of the X Open Hub is to deliver liquidity and trading technology to financial institutions and retail firms around the world. 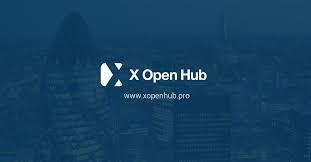 The X Open Hub company is the trading name of XTM Limited and is a part of One Capital Group that headquarters in London, while the operational and technology center located in Warsaw, Poland. The company, along with its group activities has proved its strives and achievement in many ways, while delivering the ultimate level of trading solutions to retail or institutional clients. Various awards received on a regular basis also confirmed that. In order to provide tailored liquidity, the company invested and developed heavily in particular into the technology, which delivers low-latency execution with improved pricing and tight spreads. Computer technology has changed the way financial assets are traded, thus the company delivers access to Robust IT Departments in the largest banks and brokerage houses that are working 24/6 directly connected to stock exchanges, ECN banking systems and other STP brokers. While checking their exposure, measuring their risks and finally making sure that there is always a bid and ask side with tight spreads and sufficient volume of any traded asset. Nevertheless, to chose a liquidity provider, which is a market broker or institution, stands at paramount priority while conducting business. For that reason, XHub selected their partners by vast of criteria and detailed analysis to ensure the economic efficiency, best quality, the better offer, hence guarantee the prices. The broker provides access to 3000+ global instruments on deep liquidity forex, indices, cryptocurrencies, commodities, shares and ETFs. The number of instruments allows X Open Hub’s partners and their clients to invest into various, most traded or exotic markets with low spreads starting from 0 pips and no requotes. Moreover, the company supports their clients by education about the market and finance industry that enhances skills across every stage of trading. The knowledge base delivered by two levels for beginners and advanced investors with in-depth category details through webinars and other sources. X Open Hub as a part of the XTB and the group itself makes every effort to meet all European standards, as the company authorized and regulated by the UK Financial Conduct Authority (FCA), the Polish KNF, CySec, IFSC in Belize, CMB in Turkey and passport to over 10 EU countries. Along with the strict requirements that are set by the regulatory authorities, the company obliged to cater secure environment to their partners and clients. The security of funds provided in a comprehensive manner, while the broker established also negative balance protection. Means, that investor who posses losing positions will not get into negative balance, thus institutional partner’s and accounts are fully protected with strong risk management feature. As a supplier of trading solutions to institutions and established corporations, the X Open Hub diverse their offering like Solution for Banks, for Brokers and for Startups. – Forex Solution for Banks enables expanded trading offering to the clients by improvements of operational results through outsourcing strategy (by cloud-based infrastructure collocated with all major banks with easily-integrated software). By this matter Banks getting extension to their market delivery with fully integrated portfolio management and reporting tools that ensuring profitability. – Brokers Solution. With a deep understanding of what the brokers want to differentiate to meet client demands, the XOH brought a trading environment where third-party companies can build and create a completely new trading system based on XOH APIs. The company servers ensuring the best speed and execution with no hosting costs with three execution types and comprehensive security, while additional security can be installed if required. The account offers flexibility on markups on the influence charts or swaps, fully customizable settings and clients support, reporting tools and no security group limitations. The integrated into account systems alike IB, MAM, multi-asset, flexible netting and gross management diversifies the front-end offer. – Forex White Label or Startup Program provides technology to convert IB or White Label into own customized brokerage to realize more profits. The package brings award-winning platform, easy to use a back system and access to top-tier liquidity, while all necessary brokerage tools are available to set the convenient service. XOH created complete, multi-asset trading platform to suite brokerage needs that are empowered with the MAM capability to advance tools and feature. Along with platform, the company provides full risk management system integrated with liquidity and executors. XOH Traders offer trading capabilities through various versions in the range of devices: HTML5 platform version and Mobile Application. The platform performs advanced trading with various types of execution and powerful analysis and visual features. Pending orders allowed from charting system and utilise dozens of indicators, price correlation and much more. Furthermore, XOH Trader enhanced with Smart Executors that automatically controls even the smallest of trades while solving many B-Book problems with scalpers or high-volume traders with NDD model. The Smart Executor significantly decreases operational costs, since there are less dealers required to follow the process and take over the control. – The White Labels allows creating own WL with easy interface for both web or downloadable platforms. There is a possibility to offer tailored instrument base, map RSS feeds into the platform and integrates own chat service. – xAPI solution enabling to create any App or even full function platform (like XOH Trader) with own forces. – MT4 White Label offers fast, high functionality platform that is most used among the traders worldwide. The MT4 environments available through Smart B-Book Executors with ultra-low latency and unique feature of MT4 – Expert Advisors for automated trading from the MQL4 community. This universal platform provider automatic monitoring through powerful charts along with technical analysis tools, strategy testers for optimization and emergence of trends. The MT4 economize servers costs and integration due to its Cloud version with a developed supreme back-office system – wIManager. The X Open Hub review presents a company, which operates with full compliance according to the FCA regulations and established business offerings within the One Capital Group. The company provides ultimate technology solutions with access to a deep liquidity on multi-assets for institutional clients, startups and brokers. Among the company proposal’s proses not only the comprehensive features of technology-driven solutions with NDD model but also one of the leading and competitive enhanced pricings for institutions or STP/ ECN Brokers that are brought by the selective liquidity providers.